When are you open during the holiday season? Is it possible to collect and return the cars at other locations than Keflavik Airport? Yes it is, you can pick up at our office in Reykjavik. If your pick up and drop off locations are different an additional 5000 ISK charge is applied. I am landing at Reykjavik KEF airport, which location should I choose? The international airport in Keflavik is sometimes called Reykjavik KEF even if the airport is about a 45 min drive from Reykjavik. If you are landing at Reykjavik KEF and want to pick up your car right after your flight, please select our Keflavik office when you are making your booking. We are open in our Keflavik office to fit the needs of the airport. Can you pick me up anywhere in Reykjavik? Sure, we can pick you up at your hotel or hostel for 14000 ISK. Just choose Reykjavik hotel pick up in our booking engine and then write down your accommodation in the comments section. If you are dropping off in our office by Reykjavik KEF airport we advise you to be there at least 3 hours before your flight. The airport is a busy international airport with many planes leaving at the same time. Once you have returned the car to our lot, you can take the shuttle bus to the departure hall. Monday - Friday from 8am - 18.00 / 6pm. Saturday - Sunday our Reykjavik office is open from 9am - 16.00 / 4pm. You can return the car after office hours in our Reykjavik office. We have a key drop box right next to the entrance on the left. Please note that a car that is returned out of office hours will not be checked in until the next business day and you are responsible for the car until then. Remember to fill up the tank to avoid our service fee, which is 5000 ISK (plus the price of filling up the tank). There is no need to clean the car on the outside, but please throw away all trash before dropping off, we really appreciate it. And finally, please make sure you check if you have all your items with you. We advise you to check the glove compartment and under the seats especially. How are your cars equipped for Icelandic roads? Our cars undergo the security inspection needed for all Icelandic cars. In addition we do our own serivce and maintenance checks after each return of a vehicle from a customer. All our cars have airbags and seat belts for all passengers. Our rental cars always have the necessary equipment and are ready for Icelandic roads for enjoyment! Is there anything I need to know before driving in Iceland? Please check these helpful sites before you go on your trip! 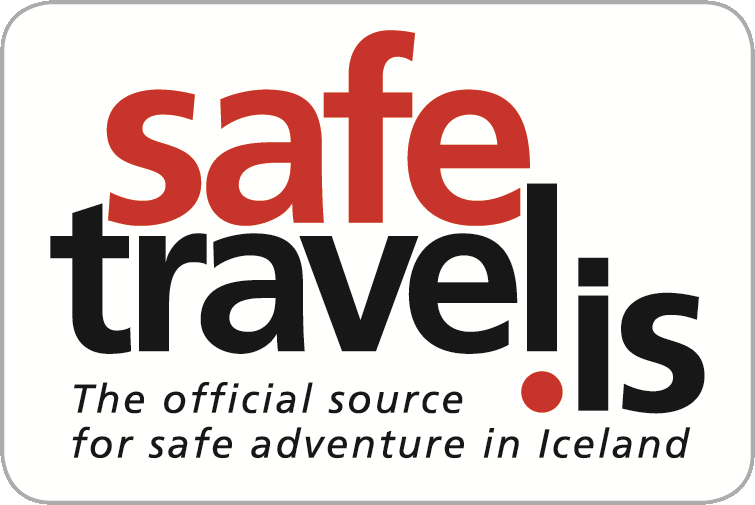 www.safetravel.is Travel safely in Iceland. www.Road.is Updated info on road conditions and weather. www.road.is/travel-info/web-cams Road web cams around the country. Do the cars have CD players or other ways to play music, charge phones etc? Most of our cars have CD players. All of the cars have 12V sockets like the old cigarette lighters. Some of them have USB, bluetooth and AUX entries. Do you have a fuel policy at SADcars? Our fuel policy is Full to full, you get the car with a full tank and return it with a full tank. We are partners with Olís and OB gas stations. Attached to the keychain of your car keys is a discount tag that gives you extra discount at Olís gas stations all around the country. As a bonus you get free coffee, free wifi and discount off food and beverages. You can see a comparison of fuel prices here. Why is your company called SADcars? Our name is actually put together from the first letter of each of the founders´ names - Siggi, Alli and Daniel :) So it's kind of a family business. However, we decided to use the name to make it more memorable as our cars are older - we can assure you that our rental cars are not sad, they are very happy when you use them! Lately we have started referring to our SADcars customers as Simply Awesome Drivers - we think it is quite fitting. Can you tell me a little bit about SADcars? Sure. Our small Iceland car rental company was founded in 2009 with its first year of operation in 2010. Our aim is to provide our customers with older but good solid cars for Icelandic roads which we maintain well and supervise carefully so you can have the chance of a good car at the lowest possible prices. Don´t worry, our cars are always in good condition. We are a member of SAF; The Icelandic Tourist Industry Association. SADcars was a family company until 2017 but has recently been added to a portfolio of car rentals that are operated together. Don´t be surprised when you pick up the car that our front desk is handing out cars for other car rentals as well. Our kennitala (social security number) is 530979-0249. Our VAT is 09494. Will I get the car I booked at pick up? We do our best to provide the car you booked but unfortunately we can not guarantee the brand and model. No worries, if the exact model you booked is unavailable at the time of pick up we will give you a similiar model or an upgrade. Can I choose to pick up a car out in the country? Akureyri = Drop off 74.000 ISK. Egilsstaðir= Drop off 84.000 ISK. The brand new Vadlaheidargong tunnel shortens the ring road up by Akureyri in North Iceland by 16 km or about 6 minutes driving time. Read about the new blog over on our Vadlaheidargong in North Iceland page. 1. If you pay within 3 hours the price is 1.500 ISK. 2. If you pay after 3 hours it is 2.500 ISK. Please note that if you choose to not pay at all, SADcars will be notified and will charge your credit card for the 2.500 ISK tunnel fee plus a 2.400 ISK service fee, a total of 4.900 ISK. The best way to book and pay is through the booking engine on our website using a credit card. 1. You pay full price; 15% down payment now and the rest on arrival. 2. You take advantage of our 15% prepayment discount and pay the full amount now. We accept Visa, Mastercard, American Express, Diners Club, JCB, Union Pay and Discover. You may be able to pay with a debit card on our website, if your card has an online payment option. Do you deposit a certain amount off my credit card? No, we do not block any amount off your credit card, we simply copy you credit card information but only use it in case of damages or incurred costs such as parking tickets. The main driver and the credit card holder are not the same person, what should I do? The person that owns the credit card used to pay for the booking and takes responsibility for the car has to sign the rental agreement. If that is not the same person as the main driver, we will list the driver as an extra driver. Just keep in mind that all drivers and extra drivers have to be present at pick up to sign the rental agreement. Are there any hidden fees at pick up? No, we have no hidden fees at pick up, the price you pay online is the price you pay for the car. Our prices include taxes, unlimited mileage and third party liability insurance. Other insurance is not included in the price. If you want to add insurance that costs extra but we do not require that you add insurance. If you have a credit card, there is no deposit. If you only have a debit card or a prepaid/plus card, we accept cards that have the 16 digit number on the front if you also buy our Platinum Insurance package for the duration of your rental period. There is no young driver fee, if you are 20 years old you get the same price as everybody else. Read all about the insurance and extras we offer on our Extras page. If you cancel up to 2 days (48 hours) prior to pick up you get full refund (100% refund). If you cancel less than 48 hours before pick up you will not get a refund (0% refund), unless you buy our Cancellation Protection. If you pick up the car, but decide to drop off early, we do not refund the unused, or partly used rental day(s) unless amendments to booking or cancellations have been made prior to the pick-up date. Can I get a refund if I return the car early? Unfortunately, no. We do not refund unused, or partly used rental day(s) unless amendments to booking or cancellations have been made prior to the pick-up date. If you cancel less than 48 hours before pick up you will not get a refund (0% refund). No shows are not refunded (0% refund). If you pick up the car but decide to drop off early, we do not refund the unused, or partly used rental day(s) unless amendments to booking or cancellations have been made prior to the pick-up date. Can I extend the rental duration after I have picked up the car? We try to accommodate any reservation changes you might have. If you would like to extend before your pick up date, simply send us an e-mail and we will make the changes. If you would like to extend after you pick up the rental car you can simply call us or come by our office. We will do our best to accommodate your request but please be aware that this might not be possible during high season. It is best to contact us at least 24 hours before your scheduled drop off so we can try to make necessary arrangements. Can my booking be modified after I book? Yes, of course. Simply send us an e-mail to info@sadcars.com and we will do our best to help you out. Will I need an international driving license? All drivers must present driving licenses to rent with SADcars. We accept all driving licenses issued by countries within the EU and USA/Canada. If you are from a country outside those regions we will accept your driving license if it has a license number, your photo, a valid date and is in roman alphabet. If your driving license does not fulfill those requirements you will need an international driving license to drive in Iceland. Our customers have to be 20 years old and have held a driving license for 1 year to be able to rent with us. Unfortunately for younger drivers, we are very strict on this rule due to insurance policy. What happens if I get a parking, speeding or other kind of ticket? There is a 5.000 ISK handling fee for all fines or charges that result from renters use of the car and the renter does not pay himself. Car Rental will charge the renter for fines and charges plus the previously mentioned handling fee. If the car is returned extra dirty inside the renter must pay 15.000 ISK cleaning fee. We do not allow smoking in our cars. If someone smoked inside the car during the rental, the renter must pay 45.000 ISK for cleaning fee. If the car is damaged and needs to be picked up, the retrieve fee is a total of 350 ISK per km outside of the capital area or a minimum of 35.000 ISK. If the car is returned with a flat tire, the renter is charged at the time of drop off, total of 30.000 ISK for a small and medium sized car. For a large and luxury car, the total charge is 45.000 ISK at the time of drop off. The tire will then be taken to a tire repair shop and if it is repairable, the total charge is 8.000 ISK and a refund for the difference is made immediately. Every rental car comes with a full tank of gas, but it’s the renter’s responsibility to return the vehicle with an equally full tank. Customers who won’t have the time to refuel before dropping off a rental can pay for the fuel fee when dropping off the car. Service fee is 5.000 ISK plus the price for the gas. If you get a speeding ticket you will pay that directly with the Icelandic authorities. No worries, we can send it to you for around 3.500 ISK (the cost of sending a normal sized parcel at the post office). Just send us your home address at info@sadcars.com and we will take care of the rest. Is there a list of service fees? Yes, please see a list of service fees below. There is a 5.000 ISK handling fee for all fines or charges that result from renters use of the car and the renter does not pay himself. The Car Rental will charge the renter for fines and charges plus the previously mentioned handling fee. If the renter gets a speeding fine, the car rental will send information to the police which will then contact the renter directly. The 5.000 ISK service fee will be charged. You will be notified if this happens. If you do not pay when you go through this tunnel in North Iceland, the car rental will be notified and will charge your credit card for the 2.500 ISK tunnel fee plus a 2.400 ISK service fee, a total of 4.900 ISK. What happens if I will be late to pick up the car? If you will be late for some reason please let us know as soon as possible, we will of course hold the car for you. If we do not hear from you, we hold the car for 2 hours after your pick up time. After that we might give the car to another customer.